2014 Reader's Choice Award Winner! Pediatrician Dr. Robert Broughton has joined Piedmont Access to Health Services’ Danville clinic, seeing patients two days a week. There’s a lot more than a new parking lot going in across from the Main Street post office. The wheels on the health care bus continue to go round and round, but confusion over the healthcare.gov website, insurance rates, government tax credits and cancelled plans are leaving many people with more questions than answers. The debate continues to rage over whether the Affordable Care Act, or “Obamacare,” will be the health community’s greatest fix-all or the nation’s worst economic nightmare. But in the midst of all the confusion and speculation, Dan River Region residents can be sure of two things — changes are coming, and local health care providers are ready. 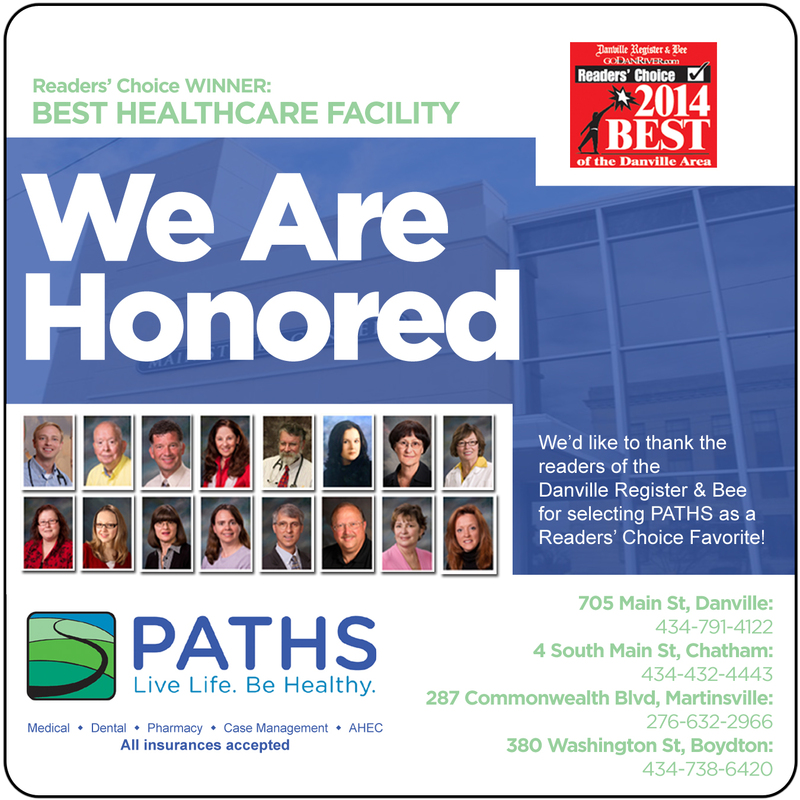 With obesity rates reaching epidemic proportions across the country and with chronic health and quality of life issues driven by obesity, a provider at PATHS decided to do something about it. Community Health Centers like Piedmont Access to Health Services, Inc. (PATHS) are celebrating Community Health Center Week by providing educational materials to their patients on a wide-range of chronic illnesses. Piedmont Access to Health Services, Inc. (PATHS) was recently awarded a grant for $132,500 from the Virginia Health Care Foundation to open a dental clinic in Boydton, Virginia. Jeffrey W. Hively, M.D. will join the Piedmont Access to Health Services (PATHS) clinic in Boydton by July 1, according to Kay Crane, CEO of PATHS. 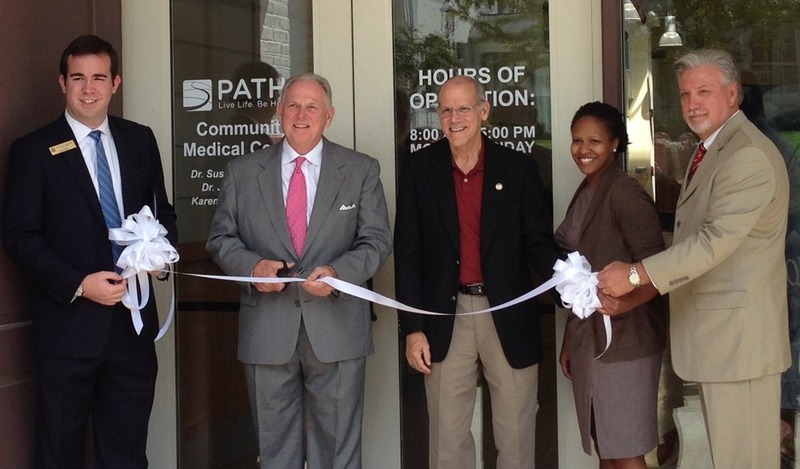 At about the same time, PATHS will be moving into the downtown complex last occupied by Healthcare on the Square. Piedmont Access to Health Services, Inc. received a perfect score from a recent site visit from the Health Resources and Services Administration, an agency of the U.S. Department of Health and Human Services.